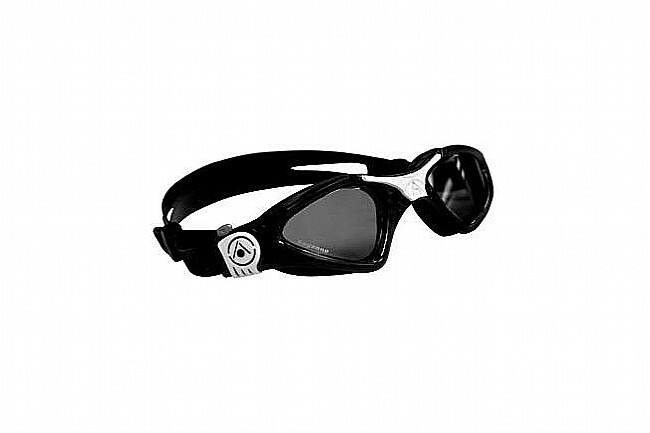 The Kayenne Goggle (Small Fit) from Aqua Sphere is a performance-oriented goggle that’s been adapted to fit smaller faces. The oversized lenses feature durable Plexisol construction with 4-point expanded, 180-degree visibility. Its low profile micro-frame delivers top-notch hydrodynamics while the stabilizing nose bridge and one-touch Quick-fit buckle ensure a secure and comfortable fit. The lenses feature anti-fog and -UV treatments for a clear field of vision that doesn’t degrade over time. Small Fit for smaller faces. Anti-fog and -UV lens treatments.